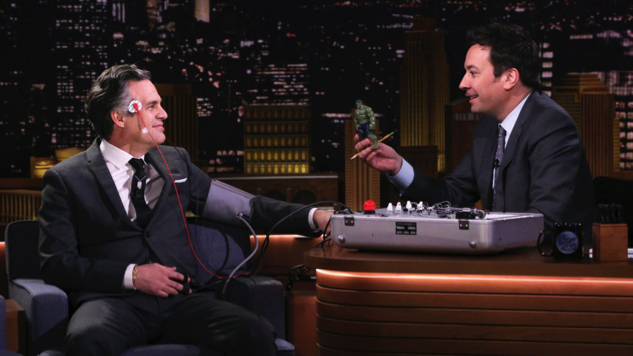 We don’t want to put words in Jimmy Fallon’s mouth or anything, but the Tonight Show host may actually hate Mark Ruffalo as a person and want him to lose his job. 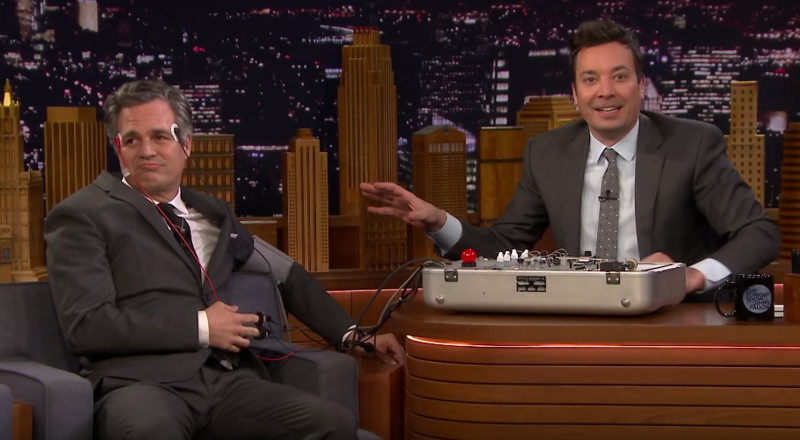 That’s all we can reasonably conclude after seeing the below bit from Wednesday night’s episode, during which Fallon hooked the famously loose-lipped Marvel Cinematic Universe star up to a somewhat real-seeming lie detector and ruthlessly probed him for Avengers: Endgame spoilers. “What kinda questions are you gonna ask me?” Ruffalo moans, like a little kid at the doctor’s office realizing he’s getting a shot. Surely it’s impossible Fallon sprung this bit on the actor without him knowing, but the MCU’s Bruce Banner looks genuinely upset—are those not tears in his eyes as Fallon asks his initial baseline questions? Ruffalo gets even more stressed when the host begins the actual interrogation, which includes some shockingly specific questions about certain details of his character, as well as how Infinity War’s infamous snap might be undone. That, ladies and gentlemen, is the face of a man who knows he’s about to get shitcanned. Granted, Ruffalo is an Oscar-nominated actor, and some of Fallon’s questions are specifically geared towards hyping up the film’s latest trailer, for instance, but it’s fun nevertheless to imagine that the famously friendly late-night host is actually playing this fast and loose with Ruffalo’s career by asking the questions we all would if we were sitting across a desk from the guy. If only he had done the same with Donald Trump when he had the chance. Watch Ruffalo walk the unemployment tightrope below and see the latest poster for Avengers: Endgame further down. You can revisit the film’s new trailer here.